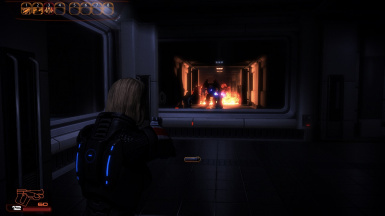 A tweaked and updated ENB/SweetFX preset for Mass Effect 2 that vastly increases performance and visual quality. Also allows you to use Alt + F4 to exit the game as a bonus! - This ENB is a preset configuration of the original release by Boris Vorontsov. He has full ownership and permission rights over the ENB files and they are released at his discretion. - SweetFX is created by CeeJay. This is the 1.5.1 modified version by Boulotaur2024 with additional changes by K-putt. These modifications and inherent permissions belong to them and are released at their discretion. - SMAA is created and developed by Jorge Jimenez/Belen Masia/Jose I. Echevarria/Fernando Navarro/Diego Gutierrez. They have full ownership and permission rights and is released at their discretion. - This preset is only a collection of colour balances and performance orientated settings that does not modify or alter the original core coding in any way. - These files and affiliates are all provided 'as is' and are experimental in nature. I do not assume responsibilty for any potential damage caused by the use of these files nor do I defer it to the proprietors of any files used in this mod or otherwise. In other words, you use these files at your own risk. - This preset is only intended for personal use and any commercial use or reproduction is prohibited. All rights and lefts reserved. 2017. These files and affiliates are all provided 'as is' and are experimental in nature. I do not assume responsibilty for any potential damage caused by the use of these files nor do I defer it to the proprietors of any files used in this mod or otherwise. In other words, you use these files at your own risk. This preset is only intended for personal use and any commercial use or reproduction is prohibited. All rights and lefts reserved. 2017. -> ATTENTION! Bioware Social Network is closing to the public on 26th August 2016. Please ensure you have taken precautions before this date! -> Still working on overhaul of this preset. Big improvements of compatibility, quality settings and performance! -> Please ensure to read all instructions to ensure a conflict free installation. -> Visit me on my facebook page. Post something interesting? An ENB and SweetFX preset built from the ground up to enable unparalleled performance increases and more visual prowess. Also adds the ability to use Alt + F4 to exit the game. Awesome! For other/previous installations please ensure to remove the following so to be sure of no conflicts. PLEASE NOTE! Always be safe and backup files in case something goes wrong! b) For 64bit you can try the X64_dll folder and use this dll instead. 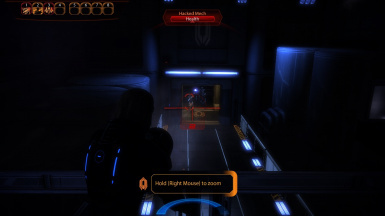 PLEASE NOTE Mass Effect 2 is 32bit as far as I know so 64bit dll will unlikely work! NOTICE! Yes, this is the Skyrim ENB but most of the engine and working effects still function and are also up to date! Whammy! Also please consider showing your appreciation to Boris/SweetFX teams and/or contribute to their projects if you can as the team works hard to bring the amazing improvements that these technologies allow. 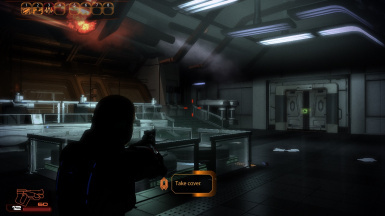 Put enbhost.exe, d3d9.dll and SweetFX files into the Mass Effect 2/Binaries directory. Please ensure to read through the notes in GRAPHICS DRIVER SETTINGS section. You can customise ENB and SweetFX through enblocal.ini and SweetFX_settings.txt in the Mass Effect 2/Binaries directory. See ENB and SWEETFX CUSTOMISATION sections for details. You will still gain a fair amount of performance through the ENB memory tweaks! This is where the main engine is configured with everything from memory management to fps clamps and anisotropic filtering. If an entry/value is missing its because it is either best left as it is or is for specific problems/setups. EnableZPrepass=true // This renders depth properly and makes the picture clearer and sharper as a result! ReduceSystemMemoryUsage=true // This reduces RAM usage and is more or less essential but disabling can give a small boost. But it will crash and freeze more often. DisablePreloadToVRAM=false // Useful if your save game won't load because of memory bottle-necking. ReservedMemorySizeMb=512 // The higher the better, this will probably be OK for 4 > 8 GB but you can lower for less or even increase if you have a lot. VideoMemorySizeMb=4096 // Overall available RAM, 4096 seems pretty stable on 8GB try lowering if you have less and/or crash a lot. EnableCompression=false // Can descrease RAM but increases CPU/GPU usage and causes muddy textures. AutodetectVideoMemorySize=false // do not use, specify amount above. MaxAnisotropy=0 // Texture filtering. You must disable game AF and enable it here for this to work. EnableVSync=true // Best left on or you will likely get tearing which looks horrible! EnableFPSLimit=false //This 'clamps' the FPS. A tricky setting that may depend on card and other configurations. PLEASE NOTE! See the GRAPHICS DRIVER SETTINGS section further below. FPSLimit=60.0 // A setting that can be played with to give various results. DesiredFPS=1000.0 // This setting makes a big difference in the visible FPS of the game i.e. not the technical number but the render effect of Adaptive Quality. Worth experimenting with!! Remove Blur=true // Experimental. For me this seems to work. This allows for different techniques and greater control over balances. You can try the different effects to see what they look like, but you have to do it outside the game and then restart. Each setting then has its own finer configuration values further down and CeeJay has kindly put lots of notes in the files to help! Tripple Buffering = ON // Eperimental! You can try this off if you think it looks blurry at all! Vertical Sync Smooth AFR = ON // Perhaps a matter of personal taste, smooths out FPS. Worth experimenting with but I prefer it on, for now...! Texture Filtering Quality = Default // I recommend you try High Performance as it is much faster without affecting visuals much, SweetFX settings cover up any desaturation like issues. 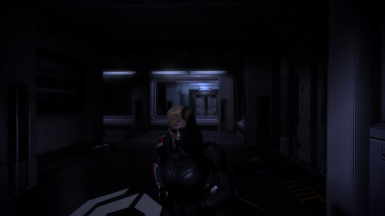 I have used a number of other mods and have not encountered any problems.